It is always nice to see two birds kissing first thing in the morning. 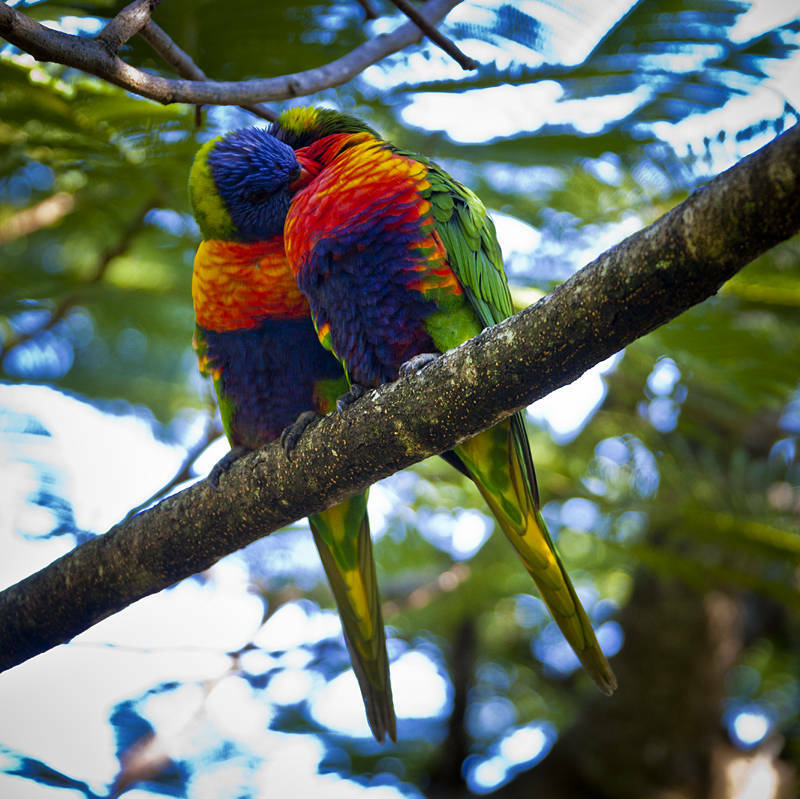 These Lorikeets have been seen flocking around the Woolshed Backpackers where we are staying. I have been photographing the rooms here today and any wildlife I come across. We plan to spend the afternoon in Maryborough on Thursday after which I will be changing the oil in our van. Our next move is unknown as yet as it depends on where we find work.